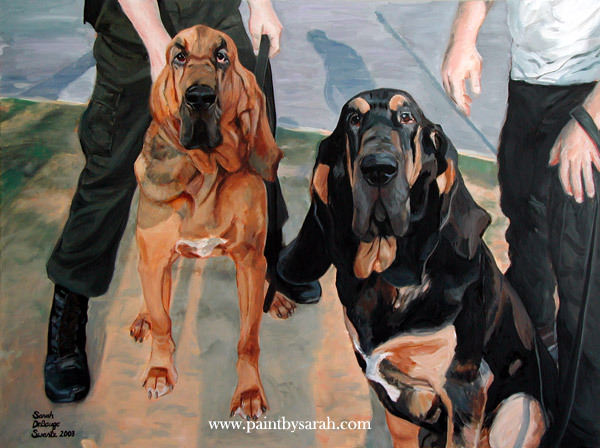 "We Will Find Him" Oil on Canvas, 36"x48"
HELLO to my Bloodhound friends Molly and Charger and to their police handlers. I admire these police dogs immensely for the hard work they do. Molly and Charger are "Canine Officers," and they work alongside 13 German shepherds and 2 Labrador retrievers for the Fairfax County Police Department. I am proud to have them on my tour.